Recently renovated 3 bedroom 2 bath fully furnished house for rent in lower Morne Bruce, Dominica. This fully air-conditioned upper level home comes equipped with brand new appliances including side by side refrigerator, washer, dryer, microwave, etc. This fully fenced property boasts large L-shaped verandah, burglar bars on all windows, LED tv, 110/220 volts, solar water heater and off-street parking. The house is within walking distance of the capital city, Roseau. 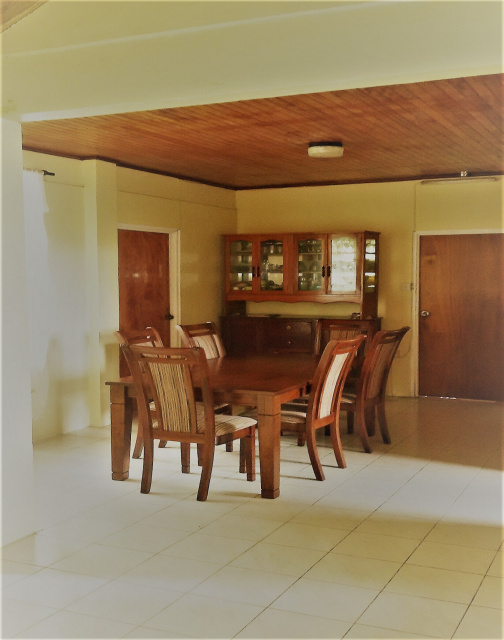 4 bedroom 2 bath semi-furnished 2,500 sq ft spacious house, just a few doors away from the Mahaut Police Station, Dominica. This air-conditioned house consists of 4 bedrooms and 2 baths and commands a panaromic view of the Caribbean Sea. The house boasts large porch, garden with numerous fruit trees and solar water heater (a definite plus given the rising cost of electricity). House is equipped with refrigerator, stove, living room set, dining set and 2 beds only. 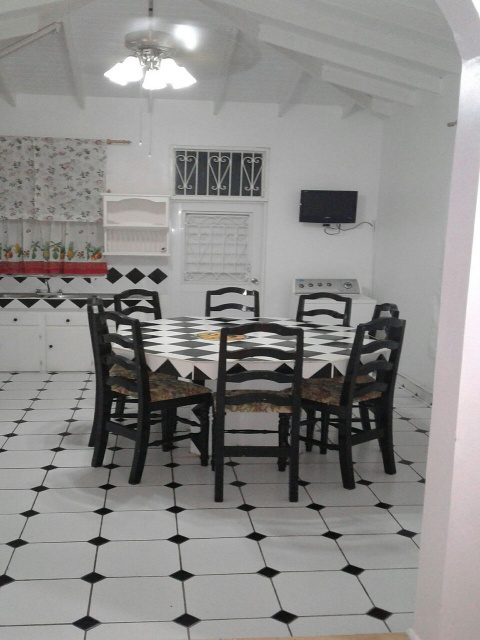 "SORRY, DUE TO HURRICANE DAMAGE, THIS HOUSE IS NOT AVAILABLE"
3 bedroom 2 bath fully furnished oceanview house for rent in Wall House, Dominica. Master suite has its own verandah, ensuite bath and is furnished with a king size bed. House is not currently air-conditioned but owner is willing to install air-conditioning if the new tenant so desires. House is equipped with washer, microwave, cable tv, etc. This house is within a 10 minute drive of the capital city, Roseau. 3 bedroom 2 bath single-family fully furnished house for rent in Pont Casse. This recently completed house sits on a 1/2 acre lot and boasts a river at its border - you simply need to walk down a few stairs to enjoy a river bath. This very spacious house is equipped with 110V/220V,washer & dryer, dishwasher, etc. Due to the cool temperatures in the area, NO ac is required. At this central location, you are 30 minutes away from the capital city, Roseau and also 30 minutes away from the airport. 3 bedroom bungalow for rent in a quiet and private area, just 15 minutes away from Roseau. This house comes fully and elegantly furnished - includes washer & dryer, microwave, etc. A perfect spot for a writer, artist or just about anyone who enjoys a country setting but with a modern feel. You will enjoy an oceanview from this property. There is no AC in this house: you really do not need it. You can enjoy outdoor dining on L-shaped verandah. Spacious grounds and verandah provide lots of room for relaxation and entertaining. Available for periods of 3 months to one year. 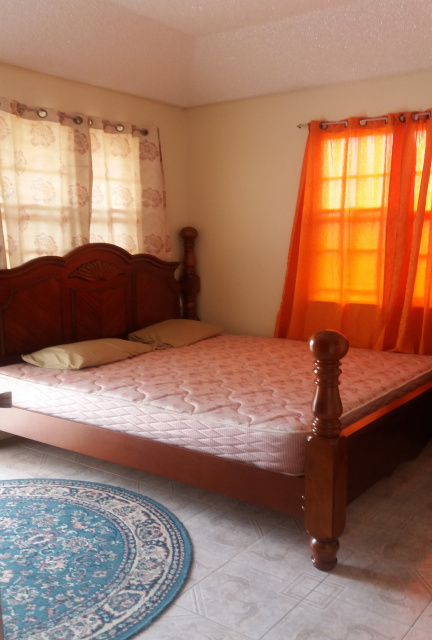 3 bedroom 2 bath spacious apartment for rent in Picard, Dominica. This fully furnished apartment is within short walking distance of Ross University.